Post Script: I toyed with taking this post down, but I think the message is something that Jobs left as part of his legacy… I wanted to pass this video along from Steven Jobs about connecting the dots along your life’s path and how typography changed the world. I know that this may be a bit premature or most of you, since my readers are typically fledgling entrepreneurs developing their dream into a real flesh and blood company, but I am intrigued by this fellow and decided to re-blog one of his posts about selling one of his companies. It’s something to think about, because it very well may happen to you when you accomplish your goals of building a business the is successful. What I got from it was, he was willing to take less money for more freedom meaning, less personal obligations or strings related to the deal. 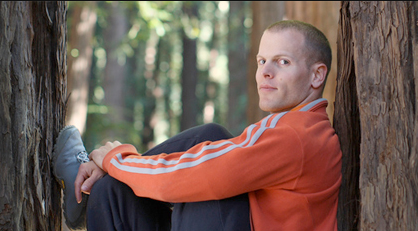 I wanted to launch this page with a profile of one of my favorite entrepreneurs alive today. I picked Russel Simmons because he has made his fortune leveraging the talents of under-represented creative individuals to launch lucrative enterprises such as Def Jam and Phat Farm. I love his philosophy of supporting up-and- coming creative talent; helping others to succeed and in turn becoming more successful himself. Simmons see opprortunities that others are blind to. This section of my blog will deal with providing resources on the subject of selling creative products and services. More and more artists and designers in this digital age are becoming entrepreneurs and I don’t mean only by opening their own design studio. The resources are now available to easily and inexpensively self-publish. Many run successful blogging businesses where they share design resources and teach design tricks and tips. And, it is not very difficult to get products manufactured (overseas and at home) using a “just in time” business model, meaning producing the product after the sale is made. But unfortunately only a few creative schools are offering an education in entrepreneurship. Most people are getting their education in the forums of sites like Etsy.com, an online marketplace to sell all things handmade. Etsy is all about how to quit your day job and open yor own business. There is (of course) a lot to it aside from having the talent is takes to come up with an idea or create a product. Remember the four “p”s of marketing. I’ll cover more on these in later posts. There have been a couple of books published on the subject of Design Entrepreneurs by Steven Heller. In the first book “The Education of the Design Entrepreneur”, Heller asks “… your not just a designer anymore are you?” This makes me feel a little better since I have been criticized by a few of my fellow artists “as selling out” since I opted for an MBA degree over an MFA degree. But gloating aside, I think this is a subject that will be of interest to many and I hope to learn a lot myself in doing the research. In addition to getting the scoop from people in the creative industries, I plan to feature some very successful entrepreneurs who are not artist per se. 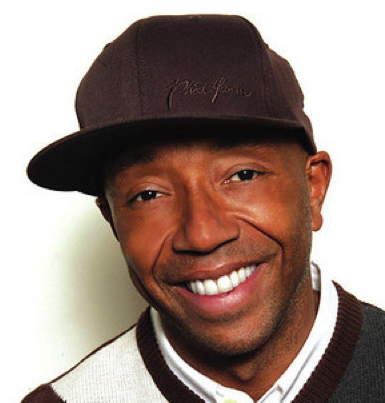 My next post will be on Russell Simmons. 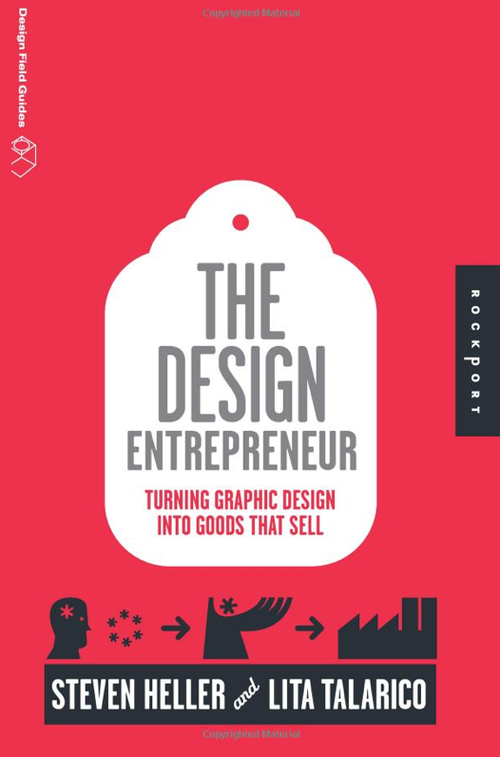 My first literary recommendation is a book that came out recently called “Design Entrepreneur – Turning Graphic Design into Products that Sell by Steven Heller, published by Rockport Press. You can look inside the book on Amazon by following the link above. Also, I recommend reading INC magazine and you guessed it — Entrepreneur magazine. There are great articles available both online and in print. by Rockable Press or click on the right sidebar for more tutorials and tips and tricks from Rockable Press. As most in the movie theater for the showing of the documentary “Never Say Never” (including my 8-year-old daughter), watched in awe as its subject, Justin Bieber, flipped that wonderful hair off his wonderfully cherubic face, I watched in awe as his first-class management team, including Usher and Scooter Braun, skillfully carried out the tenets of Branding 101. It’ s not without good reason that this flop-top-pop star has become the successful brand he has, the reason or, rather, reasons, being as follows. 1. Overnight never happens overnight. While it may seem that Justin Bieber and any number of other strong brands magically appear overnight, this is not the case. It takes laser focus on a clear objective delivered consistently and with due diligence over a period of time to win hearts and minds, especially in this very competitive, noisy marketplace. Justin did his time playing in shopping malls and in parking lots from Cleveland to Syracuse, and visiting radio station after radio station with his finely tuned act, all while remaining conscientiously attentive to his musical concept. Brands that succeed, be it an Apple or a Jet Blue, a Boyz II Men or a Bieber, ensure they stick to the basics, do the basics well and never veer from what they want to stand for in the minds of consumers. If you don’t say it, who will? Except maybe the millions of people on YouTube or with Twitter accounts. The best brands grab hold of the message they want to communicate and they communicate it in a style commensurate with the image they want to evoke. Take Unilever’s Dove brand, for instance. Starting with its brilliant “Evolution” video, in which a lovely young women is morphed into a stunning, but unrecognizable version of herself by means of make-up and heavy photo-shopping, the Dove brand team continues to build on its idea that every woman deserves to feel beautiful just the way she is. It’s a campaign that’s lasted and, more important, outlasted its many online parodies. “Never Say Never” was a brilliant way for the Bieber brand team to tell its story and, just as brilliantly, get it out there when the media wind was at its back. When you’re on a roll, do what you can to keep the momentum going. Or, said another way, the company you keep can help define your brand. Gatorade gets a burst of branding energy from its association with professional sports brands, and Visa, a healthy lift from being associated with the Olympics brand. These alignments are smart because they’re in line with how these brands want to be–and are–perceived. In similar spirit, Justin Bieber’s brand image gets serious street cred from his association with American recording artist, dancer, and all-around super-star Usher, not to mention the likes of Miley Cyrus, Jaden Smith and Ludacris. 5. Oh, yes. Make sure you’ve got a good product. I did say I enjoyed watching “Never Say Never,” didn’t I? And although it was partly because I appreciated the branding acumen of the Bieber team, the kid can sing. He’s personable. He’s professional. All in all, he’s good at what he does and he is what he says he is. At the end of the day, if a brand can’t deliver on expectations and do what it’s supposed to do competently, if not better than all the rest, well, it should keep its day job. Justin, in my branding book, you’re doing okay, kid.